Comexi Lamination is well known as the most innovative machine supplier in the flexible packaging. The Girona-based enterprise was the pioneer in introducing sleeve technology in solvent-less laminators, the flexo gearless trolley for register applications, the first holographic duplicating solution for flexible packaging and the water-based laminator for ultra-short runs of digital presses, among so many other landmarks. 2018 will be remembered for a new milestone: the landing of the division into the digital era. After more than 4 years’ experience with the Comexi online data management platform and the new dedicated developments for the laminating industry, Comexi is very proud to launch the Comexi Cloud for lamination. The digital revolution has changed the entire world and is now shaking our industry as well. Comexi lamination offers the perfect tool for converters to make the most of the amazing opportunities that the new digital era brings to the converting sector. From now on our customers will keep one step ahead of the competition. This tool will change entirely the way converters manage the laminating processes. But, what exactly is the Comexi Cloud for lamination and why is it so revolutionary? The answer is short and simple: it is the best way to own your data. In today’s ultra-competitive industry environment, the control and optimization of every single step of the value chain is crucial. Decisions can no longer be based just on intuition or expertise; today in professional organizations, data is the main driver to take rational and objective conclusions in the decision-making process. This is the second golden age for professor Edwards Deming, who became famous in the eighties and nineties for its model of continual improvement of processes and products and now is back on top of the wave for his sentence “in God we trust, all the rest must bring data”. 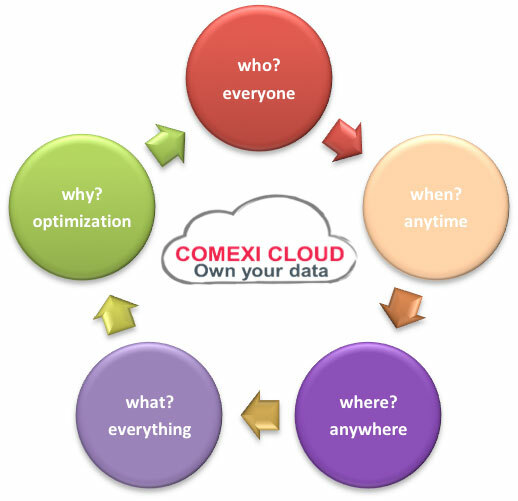 And Comexi Cloud is much more than bringing data, it is the most comprehensive online platform in the market to visualize, compile, analyse and store lamination data. A holistic approach for the whole lamination processes that will enhance a new era of continuous improvement all along the value chain. One of the first beta customers told us “I didn’t realize I was blind till I started getting the first automatic laminating reports from the Comexi Cloud”. Sure enough, this has been a totally customer-centric project with the clear focus on making it simple, useful, easy to work with and delivering real value to the converters. Right from the very beginnings we had the obsession of answering in the easiest and most understandable way the key 6 questions for every complex project: who? when? where? what? how? and why? And the answer to each one was one word, straight and easy. Because we need everyone optimizing everything at anytime anywhere. And the answer to how is with Comexi Cloud for lamination process. To fully fulfil our goal, the platform must be extremely visual, user friendly, and very easily accessible. It has been a huge developing job in an extremely multidisciplinary team of IT engineers, laminator operators, plant managers and converting MD. The machine works with customer folders and job files, where each job has stored all machine parameters: material, thickness, width, temperature, running speed, acceleration, pressure, and all other working parameters. Any change or variation from the set point will be stored and reported. 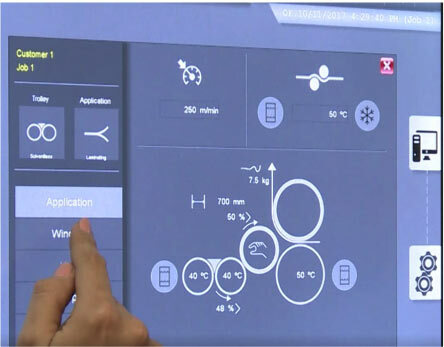 All the ancillary equipment is completely integrated in the machine, so corona treatment, grammage sensor, mixing dose or temperature of the calendars are recorded at all times and can be visualized from the main machine screen, from the plant manager laptop or even a smartphone miles away. Information will be stored for each customer, job, reel and meter, and it will be accessible from anywhere, and on any device. This is traceability in the industry 4.0, this is Comexi Cloud for lamination turning converting companies into digital enterprises. And this is a completely new way of improving quality control, error avoidance, production optimization, plant management, prevision of job load and an endless list of on-line possibilities. Comexi laminator operators will be able to specify all machine stops, making it possible to identify the meters of waste, set-up time, changeover time, among others. 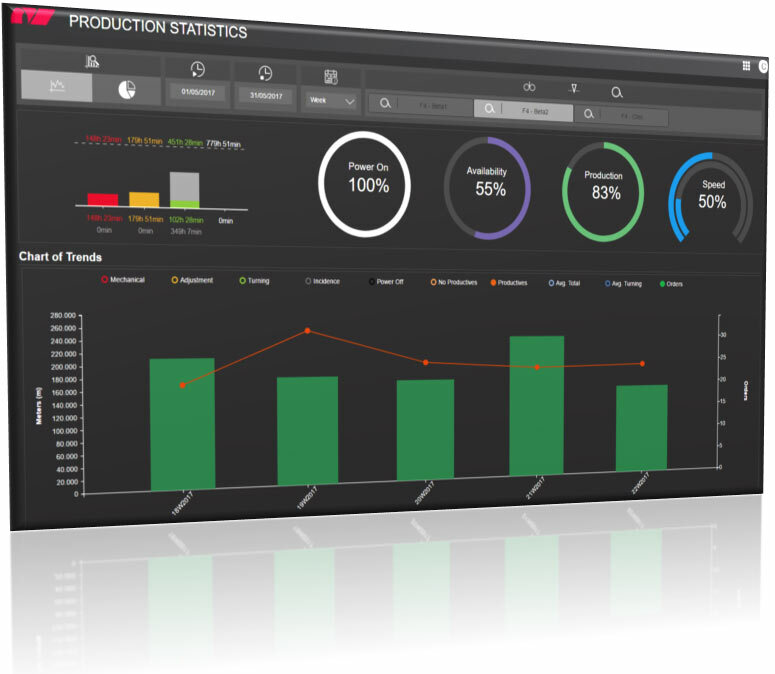 This will allow you to automatically categorize the inefficiencies and generate key performance indicators like Overall Equipment Effectiveness (OEE). This is a revolution. This is owning your data. A continuous assessment of your machine utilization by jobs, operators, customers, kind of adhesive supplier and many other parameters. Benchmarking has never been easier and faster, altogether enhancing productivity and making for a continuous optimization of the laminating process. Imagination is literally the only one limiting factor as we turn converting companies into digital enterprises. 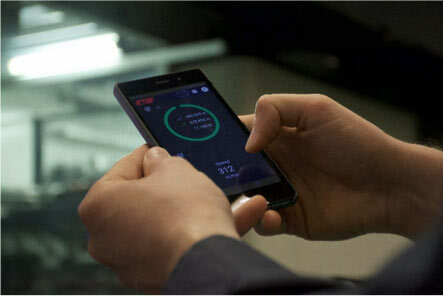 Plant managers will be able to access production data in real time as well as historical data facilitating the benchmarking and the continuous improvement, from anywhere at any time. Automatic reports will be generated with KPI and predictive work load and production capacity availability will improve the agile data-based decision-making. All this amazing new way of managing data is already a reality available for all our customers. During the second half of 2018 Comexi Lamination will develop the job costing module enlarging the functionalities of the Comexi Cloud platform. Converters will be able to access their consumption of energy, water, air, as well as consumables like adhesive or solvent and many others. This will lead to better cost forecasting and cost reduction job by job. In 2019 Comexi platform will also host spare parts ordering to facilitate part and consumables purchasing. In the near future, all these data combined will help Comexi engineers to predict and avoid breakdowns as well as generating dedicated maintenance programs for each machine. The digital revolution has landed in the laminating sector with Comexi Cloud. Join your digital partners in lamination, join Comexi lamination.